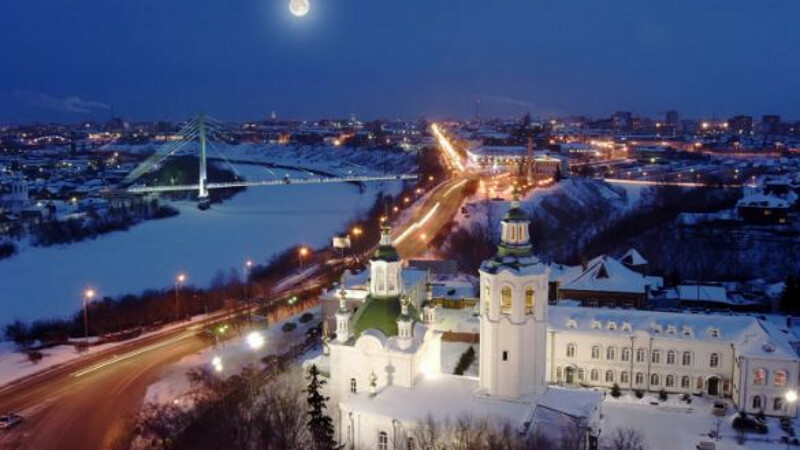 The city of Tyumen, capital of the expansive Tyumen region. Six of Russia's 83 federal subjects, including Moscow and St. Petersburg, produced nearly 50 percent of the country's gross domestic product in 2011, a RIA news agency report says. The other top contributors to GDP are the Moscow region and the Tyumen region, which also includes two autonomous regions that round out the list, the Khanty-Mansiisk and Yamal-Nenets autonomous districts. These regions "are the major donors to the federal budget, generate the larger part of consumer demand and the country's basic export flow," the RIA-Rating report said. "These regions are the place of work or headquarters for most of the country's largest corporations, including all major Russian monopolies." The report divided the six successful regions into two interdependent groups, with Moscow and St. Petersburg serving as a financial center and the Tyumen region as the source of the resources that fuel the cash flow. The report also said Russia displays a large degree of economic variation from region to region, largely due to the availability of natural resources, weather conditions and infrastructure. The North Caucasus, Siberia, the Far East and several Volga regions perform most poorly, the report said.